It's not just what your legacy will be. Marlboro Memorial Park is located on one of the most beautiful pieces of land in the heart of Monmouth County. 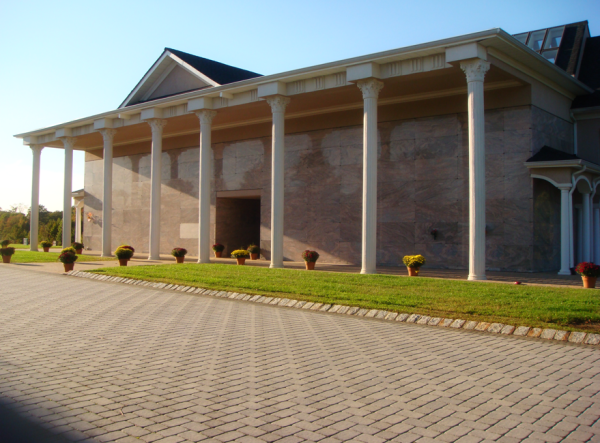 Founded in 1997, it is one of the newest cemeteries to be approved in New Jersey in over 30 years. More than 2,500 trees and 150 native woody plants grace the 110 verdant acres of land. Our mission is to provide the most efficient and sincere care to all our families during their difficult time of loss. Although planning your final arrangements can be hard to think about, pre-planning gives you the benefit of controlling the details and making sure you are remembered exactly how you want. You only need to visit once to answer this question. Marlboro Memorial Park is a full purpose cemetery allowing many different burial options to choose from. Our mission is to provide the most efficient and sincere care to all our families during their difficult time of loss. Please feel free to tour our grounds and see the beauty of our Cemetery and all our Indoor and Garden Mausoleums. It is a place of Dignity and Elegance.